September 20, 2017 by Briware Solutions Inc.
My phone has been buzzing all week with people asking the same thing: "what the heck is going on down there in Orlando? What do you mean Dynamics 365 is dead?" Stay calm, it’s not dead. But it might be different. But let me back up. The first day of the NAV Directions conference was spent telling us how great the upcoming version is going be. It is currently code named Dynamics 365 Tenerife. It is basically Dynamics NAV in the cloud, which is pretty exciting. 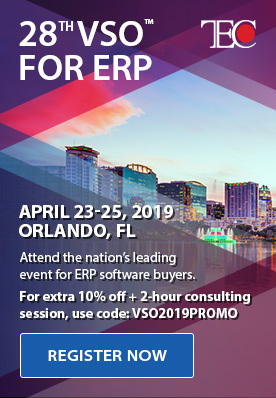 Then Monday, at the opening keynote, Marko Perisic, General Manager for Microsoft Dynamics 365, said the sentence that now everyone is fixated on…. “Of course, the Business Edition isn't there anymore.” And then he went on with his presentation. Everybody was kind of looking at each other saying, "whoa, whoa what is he talking about?" After that there was a Town Hall Q&A meeting. Partners were told that there would be no more Dynamics 365 Business Edition. 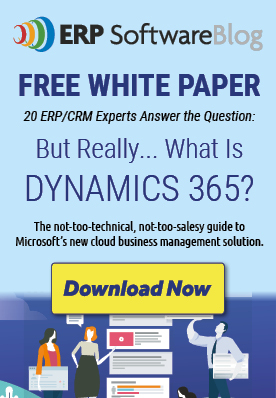 The only ERP available on SAAS would be the AX release, which is Dynamics 365 Enterprise Edition. I wasn’t there but I heard there was a lot of shouting, a lot of angry people. I think that Steve Mordue’s analogy of kicking the hornet’s nest is extremely accurate. Later there was a second Town Hall Q&A scheduled and it actually had to be moved to a bigger room because pretty much everyone at the entire conference was expected to be there to discuss this bombshell announcement. The message that stuck out is that Tenerife is still going to get released in about six months. But that Microsoft really does not how they are going to sell it yet. What they want is for Microsoft Partners to create vertical applications based on this Tenerife release. So, a Partner can use all of the development functionality available in NAV today, create some type of vertical functionality and release it as a product “powered by Dynamics 365”. 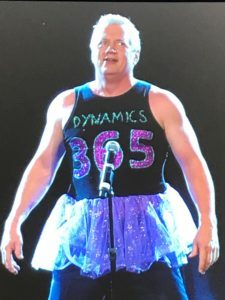 It will not be called Dynamics 365. It will be branded, marketed and sold by the Partner with just the “powered by Dynamics 365” label. For some people this makes sense. There are NAV Partners today that already do this. They have built their own system for a specific industry, for example food manufacturing or property management, and it is powered by Dynamics NAV on the backend. It's a valid model and it works for some people. For me, as a Dynamics GP Partner, I don't want to design a vertical solution and sell it. My whole reason for supporting Dynamics 365 Business Edition is that it was simple, for smaller companies, and easy to deploy. I don't want to have to create “Rod's ERP powered by Dynamics 365”. I've heard people start referring to it as “the one line of code”. Basically if you add your one line of code to a system, then it's yours and you can sell it. But it brings up all kinds of questions. The SLA for the software now becomes your SLA because you added that one line of code. Trying to market it, differentiate it, and all of that becomes very confusing. I've spoken to four different Microsoft people at this event and I’ve gotten different answers from them too, which is bizarre. Honestly, I think this is just a case of really bad messaging. It seemed like this decision was just made recently and it was kind of half-thought out and it was presented before it was ready. They didn't even have any slides to talk about it. They didn't have any real information. People came out of the meeting very confused. I think that this really only impacts Partners. If I was a customer, which I am since I switched my business over to Dynamics 365, I should be excited because Tenerife is coming out. It will have the full feature set of what is currently known as Dynamics NAV. The other thing that they announced is that Tenerife includes both on premise and in the cloud. So now it's kind of like the AX-model where you can buy NAV in the cloud or NAV on prem and they are just called Dynamics 365. It does seem scary to all the companies who have invested heavily in Dynamics 365. But I think people need to stay calm. The product has clearly been worked on. The product is moving forward. The product is not going away. They have just changed the marketing model, again. It's almost like we're in a holding pattern for the next six months or until they tell us what is happening. There are still so many questions. If I have sold the business edition today, will it automatically be transitioned to a Tenerife version? If so what will it be called and what do I bill the customer? And do I have to come up with my one line of code version in order to keep that customer? There is a lot of information that Microsoft has to sort out and get to us before we make any rash decisions. A lot of people got really upset at first and then started taking a breath in the middle of the day. I don't think the past year of working on the product and trying to build a practice around it are wasted. Dynamics 365 for SMB is not dead. It's in its larval stage I guess. It's gone into the cocoon. It's going to come out soon with a makeover. We might not even recognize it, but it will likely be something even better. Microsoft will not be requiring partners to rebrand the product in order to resell it. They are working on plans to move forward the next release date. The presentation was genuine, and you could tell that Marko has had a VERY long week. In his own words, he went from high fives on Sunday to pitchforks on Monday and had been working with Microsoft executives ever since. "We heard you, we understand your concerns, and there is an urgency like I have never seen before for us to address it" Marko said at one point. So there you have it. We still don't know what we call it, when we'll have it, or how much it will cost but we definitely still have a product! And from what they showed us, it will be pretty spectacular. More Posts By Briware Solutions Inc. The Intelligent Edge and Dynamics GP. Don’t believe some of the tweets! How do I get historical data into my new system? What do you need to gain complete control of how you manage equipment rental projects? Any opinions on Dynamics 365 Business Central?